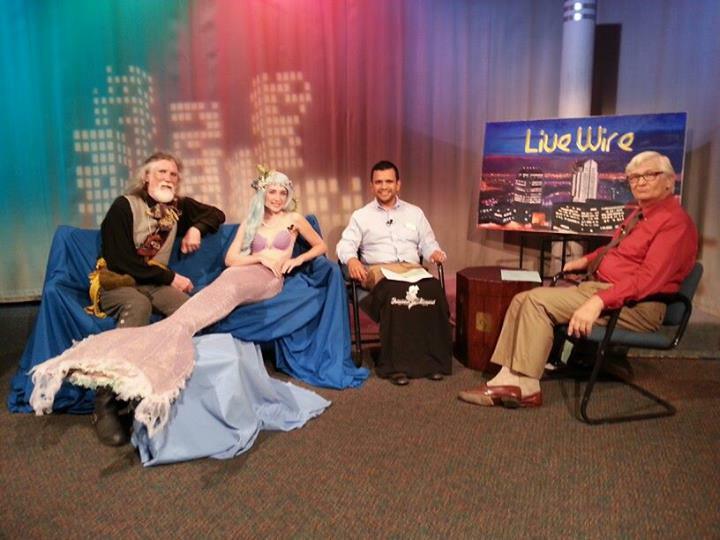 GoodDay Sacramento just called..they want mermaid promenade contestants on TV Saturday morning 8/17 at 800am. 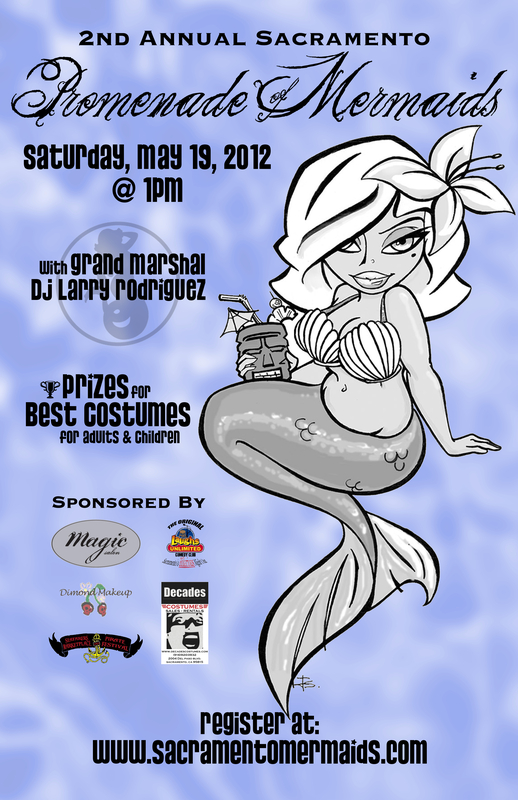 Let me know ASAP…Plan is to dress Cody, TV Host, into a merman at 8Am and then to have costume contest afterwards.. Probably be at studio till 945.. The studio is in West Sac near Ikea so there should be time to make the Promenad’s 12:30 sign at Old Town. I need everyone’s name also the age if 16 and younger…. Official Poster of the 2012 Promenade! Comments Off on Official Poster of the 2012 Promenade! Sacramento Mermaids Founder Jenn Mehm-Oakes Interview at “I Am A Mermaid”!!! “So I have been teaching in and travelling around Alaska (I’m an associate faculty member at the University of Alaska at Anchorage low-residency MFA program, so if you’d like to write more effectively about mermaids [or selkies as my current student Morgan Grey is doing] please apply and come study with me)(ok fine, you can write about other things too), so please forgive my terrible lack of updating this blog. One big event that’s come and gone is the first annual Promenade, which took place on July 16th… Also, I did an interview with one of the planners of the [Promenade], Jenn Mehm-Oakes, in June… but between Weeki Wachee… and Alaska, I done forgot to post it here. !! I know, it is inexcusable, but now you shall have something to look forward to next summer aside from heat waves and popsicles. 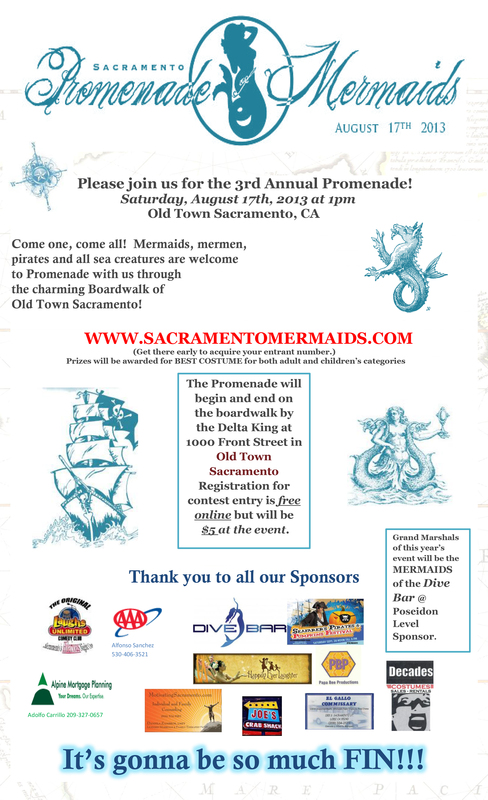 Have mermaids (and mermen) become a real presence in Sacramento since Dive Bar opened (or did it start before that)? Well, Hamburger Pattie’s (Hamburger Mary’s) has always had beautiful mermaids hanging in their restaurant, but other than them and the Dive Bar, I don’t know of any other mermaid themed places in Sacramento… We had heard about the Dive Bar opening up and thought originally that it would be a good idea to tie them into our [Promenade], but then we decided to just keep it as DIY and homegrown as possible for the first year, so we don’t have any sponsors except for our friends that are business owners and are supplying the prizes, Magic Salon, Phono Select and Dimond Makeup. What do you have planned for the [Promenade]? We’ve chosen our [Promenade] route in Old Sacramento, and are collecting registration forms from lots of people who plan to march. The [Promenade] will be led by our Grand Marshall, Ms. Debora Iyall (of Romeo Void), our Queen Mermaid, Ms. Heidi Ho, and our King Neptune, DJ Shaun Slaughter. Prizes will be awarded for best costume in both adult and children’s categories by our Grand Marshall! They can expect a really fun day, and to see a lot of super great, colorful and creative costumes! This will definitely be a fun, family friendly event and an awesome photo opportunity! What kind of support have you gotten from the city and local businesses and so on? I haven’t received much support from the city or local businesses (other than our three sponsors), but to be honest, I don’t have enough experience or time to obtain support or gather sponsorships. Hopefully someone else involved will take on that responsibility for next year! The response has been very positive so far, and I think it will be a good time for everyone involved! We have received registrations from Folsom, Bakersfield, Cameron Park, North Highlands, Chico, and Rio Linda, as well as Sacramento. We have a Brownie Troop registered, and have also been contacted by the Pirates of Sacramento – the Crewe of the Crimson Delta! Do you plan for this to be a yearly event? 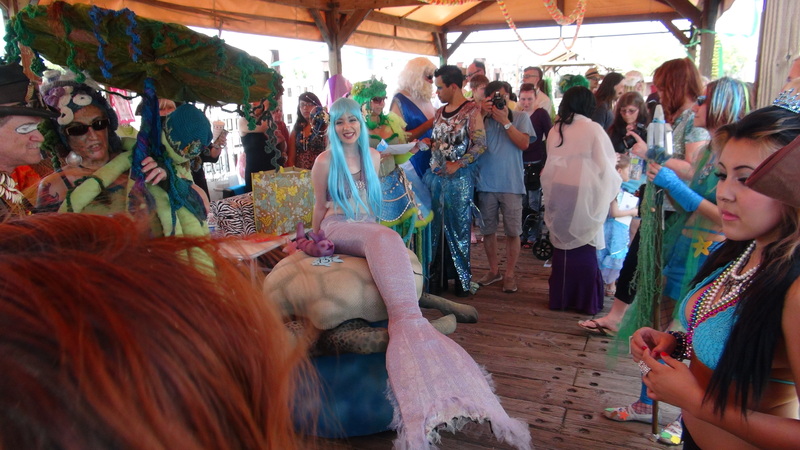 Comments Off on Sacramento Mermaids Founder Jenn Mehm-Oakes Interview at “I Am A Mermaid”!!! Sacramento Mermaids founder Jenn Mehm-Oakes and Promenade marchers making a Promenade-morning appearance on Good Day Sacramento! Comments Off on Mermaids on TV!